Emergencies may take place anytime for those elderly and physically handicapped citizens, who might be living alone. 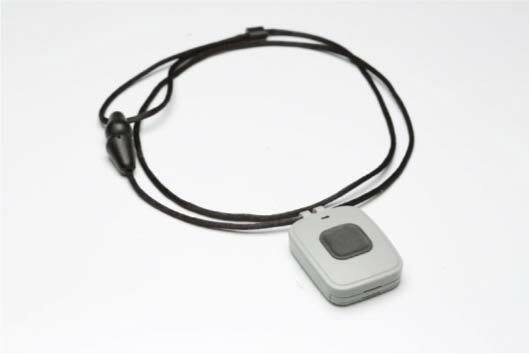 Personal alert devices can play a key role in helping our seniors and disabled feel safe and secure. ESI utilizes the latest technology to provide dependable, flexible, and affordable personal alert systems that are simple to use. The standard supervised wireless system not only can transmit an emergency signal from anywhere inside the premises, but can also be used in close proximately outside allowing the user the freedom to work in the yard & garden. The extended range unit will allow the user to summon help as far as 1/4 of a mile away. Notify the monitoring center if there has not been any movement in the premises over a 12 /24 /48 hour period. Notify a family member via their cell phone that the person has returned home from an outing or doctors visit. Allow a family member to "call" into the system and discreetly listen to the activity in the premises. The systems are monitored 24 hours a day at our local UL listed Central Monitoring Center by highly trained professional operators that can quickly notify family members, neighbors and rescue or police agencies if necessary.